We are pleased to present our Year in Review edition which features a recap of publicly reported merger & acquisition transactions within the green industry over the past year. It also features our analysis of key trends to watch for in 2013. We will be offering two webinars this month. On January 17, we will be offering Lessons from The Sellability Score, which will cover data developed by The Sellability Score focusing ion improving your odds of getting an offer for your business. The second will be January 24 will be on Understanding the Value of Your Business. We will attempt to unravel this complicated and confusing topic. As always, if you are considering the sale of your business, an acquisition or are thinking about exit planning, we would be happy to speak with you. 2012 was, all-in-all, a pretty good year for mergers and acquisitions in the industry. It started out strong but weakened later in the year as the elections and economic and political uncertainty dampened enthusiasm. It was also noticeable by the complete absence of reported transactions by some of the largest companies in the industry, including Brickman and ValleyCrest.  In a broad index, which includes many relatively small transactions, BizBuySell.com reported a total of 150 landscape-related business sales on its system compared to 94 in 2011 and 78 in 2010. Here is our recap of reported transactions during 2012 within the greem industry, including lawn, landscape and related services businesses. This listing was developed from publicly available sources and is roughly in chronological order. Lawn Doctor, Inc. was acquired by Levine Leichtman Capital Partners of Beverly Hills, California. Lawn Doctor is a leading franchisor of residential lawn care businesses, with over 460 independently-owned franchise locations. Austin Outdoor, the Florida-based division of Yellowstone Landscape Group, acquired the landscape management division of Cornerstone Solutions Group. This acquisition will significantly expand Austin Outdoor’s reach in the Tampa, Sarasota, Orlando and Jacksonville markets. Yellowstone Landscape Group is a portfolio company of Gridiron Capital. Yellowstone also rebranded its Atlanta division, Piedmont Landscape under the Austin Outdoor banner. Go-Forth Pest & Lawn of HighPoint, North Carolina, acquired Lake Norman Pest Control. Richmond, Virginia-based Virginia Green Lawn Care,acquired Beaver Tree and Lawn Service. With the acquisition, Virginia Green Lawn Care is now one of Central Virginia’s larger independent lawn care companies with more than 35 employees servicing commercial and residential customers. Suburban Landscape Management, a $4 million Wichita-based landscape services company, acquired Dreamscapes Landscaping of Derby, Kansas. Dreamscapes will continue to operate under its existing name as a division of Suburban, under the leadership of Wes Pechin, Dreamscapes’ founder. Dreamscapes will now offer its clients landscape maintenance services, in addition to design-build. Lawn Dawg Inc. of Nashua, New Hampshire, acquired LawnMaster of Derry, NH. The acquisition continues Lawn Dawg’s growth in the southern New Hampshire market. Executive Landscaping, Inc. of Pensacola, Florida has merged with Pensacola Landscaping and Lawn Care, Inc. The combined company will be known as Executive Landscaping, Inc. It serves over 300 commercial accounts in the Pensacola area and has approximately 100 employees. Consolidated Landscaping, LLC acquired the US Lawns franchises in Grapevine and Fort Worth, Texas as a part of its strategy to develop a comprehensive landscape services businesses across the DFW Metroplex. Senske Lawn & Tree Care, which also offers pest control services, acquired Las Vegas, Nevada based Guardian Pest Defense in order to strengthen its residential pest control customer base and achieve its long term goal of operating in the metro Las Vegas area. Senske is based in Kennewick, Washington. Greenscape, Inc. of Holly Springs, North Carolina, acquired Raleigh-based Francis Landscaping. Atlanta, Georgia-based Arrow Exterminators acquired Al Hofer’s Termite, Pest & Lawn of Melbourne, Florida. Sarasota, Florida-based Arrow Environmental Services acquired Sur-Shot, Alert Termite & Pest and Cape Coral Termite and Pest Control of Naples, Florida. Arrow provides lawn and tree care in addition to pest control. Virginia Green Lawn Care of Richmond, Virgina, acquired Beaver Tree and Lawn Service. Stewart Engineering of Raleigh and Durham-based HadenStanzale are merging, creating a 115 employee engineering and landscape architecture firm, which will be based in Raleigh and have a substantial presence in Charlotte. Colorado Springs engineering and planning firm Matrix Design Group, Inc. acquired Design Studio West, Inc., a Denver landscape architecture firm. Homestead, Pennsylvania-based GAI Consultants, Inc. has acquired Orlando, Florida-based landscape architecture firm Bellomo-Herbert and Co., Inc.
Plantscapes, Inc. of Seattle acquired certain operations of Highridge Corporation of Issaquah, Washington. Highridge offered landscape design, construction and maintenance. Ruppert Landscape, Inc. acquired selected assets of Eco Scapes, Inc. of Raleigh, North Carolina. Sarasota-based Arrow Environmental Services, Inc. of acquired The Pest Exterminators of Naples, Florida. Rhode Island Landscape architecture firm Gates, Leighton & Associates merged with engineering firm Beta Group Inc.
Atlanta-based Arrow Exterminators acquired Spencer Pest Services in North Charleston, S.C.
Consolidated Landscaping LLC doing business as U.S. Lawns (Ft. Worth) acquired Ft. Worth-based Aesthetic Landscaping. The combined organization will operate under the U.S. Lawns name. Ventures, Inc., a Boulder/Longmont, Colorado, lawn services company. Georgia’s The Fockele Garden Company acquired the accounts and assets of KMA Gardens, an Atlanta-based landscape design, build, and maintain company. The Davey Tree Expert Company acquired LandKeepers, LLC, of Woodstock, Ill., and integrated its services into its Davey Resource Group Chicago operations. LandKeepers specialized in the preservation and stewardship of natural areas and high-quality habitats. Ruppert Landscape acquired New River Landscape, a Raleigh, N.C.-based company, which provides commercial grounds management services. This was Ruppert’s second acquisition in the Raleigh area this year. David J. Frank Landscape Contracting, Inc. formed Lied’s-Frank Residential Landscapes, a division of the Germantown, Wisconsin,-based David J. Frank. David J. Frank is the largest landscape contractor in Wisconsin. Lied’s is also a venerable name in the green industry in Wisconsin, having served the landscape industry there for 67 years. Tom Lied will serve as president of the new division. Ruppert Landscape acquired The Watchman Group, based in Kensington, Md. The company specializes in sports field and golf course development. Atlanta-based Arrow Exterminators acquired Terminator Pest Control of Mississippi, with locations throughout Mississippi. Roaring Fork Interiorscape of Aspen, Colorado was acquired by a new owner. Massey Services of Orlando, Florida, acquired GreenFrog Services, a pest management company headquartered in Jacksonville Beach, Fla.
Sarasota, Florida-based Arrow Environmental Services acquired Can Eliminate Pest Control of Fort Myers. Can Eliminate specializes in providing residential and commercial service throughout the Fort Myers area. Bemus Landscape, Inc. of San Clemente, CA acquired the assets of Aspen Landscape. Bemus has four locations throughout Southern California. Rentokil Pest Control acquired Eden Advanced Pest Technologies of Olympia, Washington. McKinney Capital of Birmingham has acquired Grounds Unlimited, also based in the Birmingham area. Grounds Unlimited will be merged into McKinney;s earlier acquisition, Landscape Workshop, by the end of 2013. TruGreen Lawncare does not typically announce its acquisitions, but based on a review of ServiceMaster’s Securities and Exchange Commission filings, it appears that TruGreen ‘s acquisition volume was down approximately 60% in 2012. Growth will begin to accelerate in the industry- in both the commercial and residential sectors, particularly as housing starts improve, but growth rates will still be modest. Price competition will remain intense, especially in commercial maintenance. Specialty sectors, such as water features, will remain slow. Valuations will remain restrained with most buyers exercising considerable discipline. Large industry players will return to the acquisition marketplace, but in a restrained way. Consolidation efforts will be primarily regional. There will be private equity interest in the industry, but it will not be widespread. Integrated facilities management companies will continue to add landscape maintenance to their service offerings, often through acquisitions. Franchising will continue to gain momentum in many sectors of the industry. We will see many examples of acquisitions in the franchise sector, including acquisitions of existing franchises by both existing and new franchisees. Existing franchises will acquire independent businesses to facilitate growth and expansion. Franchise conversions will be popular. The strength of franchising will make franchisors attractive acquisition targets. Despite the resolution of the fiscal cliff drama, the uncertainty and contentiousness in Washington will boil over again, probably more than once. While the issue of tax rates seems to be settled, possible tax reform initiatives may yet have a big impact on some business owners. Both parties will claim to be focused on improving conditions for small business. Business owners will have difficulty perceiving the reality of the claims. SBA lending will continue to be a bright spot. The Obamacare employer mandate for companies with more than 50 employees will cause a few businesses to restructure to keep themselves below the 50 employee limit. This phenomenon may get more attention than it deserves. The increasing cost of health care will continue to be a major issue. Though immigration policy was eclipsed by taxes and economic issues late in 2012, we expect a meaningful effort toward immigration reform early in the second Obama administration. For a report card on how we did with last year’s predictions, click here. We are pretty proud of ourselves. You are invited to participate in a webinar on Understanding the Value of Your Business on Jan 24, 2013 at 12:00 PM CST. In this webinar, Ron Edmonds will unravel one of the most confusing topics for many small business owners. Click here for more information. You are invited to participate in a webinar on Lessons from The Sellability Score on Jan 17, 2013 at 12:00 PM CST. The specific focus of this webinar will be increasing your odds of receiving an offer for your business. Please complete The Sellability Score quiz prior to the webinar. For more information about this webinar, click here. The Prinicpium Group offers a cost-effective approach we call the Market Value Assessment. The Market Value Assessment provides a valuation for your business based on established methods and industry conditions for planning purposes. It also will specifically identify important factors that affect the value of your particular business.